Direct Impact: Using business profits to transform lives and communities through the local church. Indirect Impact: Using the business process or product itself to provide life-changing transformations such as employment, education, meeting basic needs etc. Because impact is based on the profits generated by the business, impact grows as the business grows! Thank you for your partnership with Camino Global and Camino Foundation. 2016 was an exciting year for our portfolio. In addition to bringing on two significant assets to the portfolio, Lumi and Obrerofiel, we saw significant impact for God's Kingdom. Foundation businesses do what they do because they love God and love people. We recognize that there is nothing greater than a person trusting Christ as their Savior. That is what drives us to do what we do. We are excited to announce the results of our businesses in 2015. 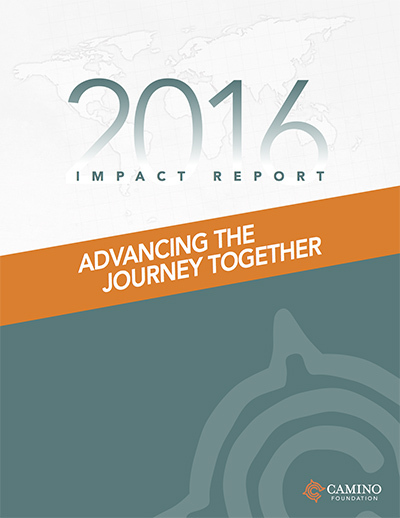 In 2015, our three companies were able to grow and generate substantial impact. This impact comprised of 22 people trusting Christ, 43 homes were improved, one water well drilled, 31 jobs were created, and 30 small farms were impacted.